If You Know That You Are Getting a Divorce, Should You Still Pay the Mortgage? Q. My husband left me three months ago and now wants a divorce. Should I keep paying the mortgage on my house even though he could get half of it? A. It can certainly be financially difficult to carry the full cost of a monthly mortgage payment on your own! We definitely understand why it could be tempting to stop paying the mortgage, especially if you may be essentially giving your husband a “free ride,” if he ends up getting half of the home in the divorce settlement. The first thing to note is that it is NOT a good idea to stop payments on your mortgage while you decide what to do. Not paying your mortgage will negatively affect your credit score if you are a joint signer on the loan. You don’t want to do that to yourself if you can help it. Also, not paying your mortgage could lead you to default on your loan, which means the bank could repossess your house. If you have any amount of equity in your home, you could lose it all, which is probably worth a lot more than a few more monthly mortgage payments. If you are having trouble paying your mortgage, you may be able to call your lender and get some relief. Some lenders, for instance, allow borrowers to skip one payment a year. Next, you’ll need to figure out how your home is likely to be divided up in the divorce so that you can begin planning your next moves. If you purchased your home while you and your spouse were married, it likely will be considered community property (shared by both spouses). If you live in a Community Property State (Arizona, California, Idaho, Louisiana, Nevada, New Mexico, Texas, Washington, Wisconsin, and possibly Alaska), then it is likely that your spouse is entitled to half of the equity in the house (and half the remaining mortgage debt as well). If you live in a Common Law State (any state not listed as a Community Property State), then a judge has leeway in deciding how to distribute assets as part of your divorce settlement. If you can show a judge that you paid more of the mortgage than your husband, the judge may grant you a greater share of the home. 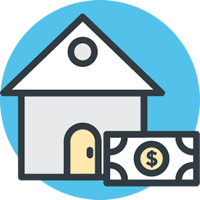 If you purchased the home with your own money before you were married and if your husband’s name is not on the deed, you may be able to make the case that the home is not community property. This is a difficult argument to make, especially if your husband contributed to the mortgage payments during your marriage or you used community property (i.e. income you earned while you were married) to remodel or fix up the house. At some point (sooner rather than later if you are struggling to make mortgage payments on your own), you need to decide whether you want to try to keep the house or not. Many women want to stay in the home, especially if they have children, but that might not always be the financially smart thing to do. If you want to sell, you’ll need to convince your husband to sell if the home is jointly owned. Though you will likely have to give your husband a share of the profits you make from the sale of the home, at least you can get out from under those mortgage payments. If you decide that you want to stay in the home, you’ll need to negotiate for it during your divorce and figure out a way to buy out your ex’s share of the equity. (Here are some useful tips on How to Keep Your Home During a Divorce.) It can feel frustrating to give your ex more money when he didn’t help you with the mortgage payments, but at least you can get his name off the deed and know that your future mortgage payments will be building equity in an asset that is 100% yours! Want even more useful divorce advice? 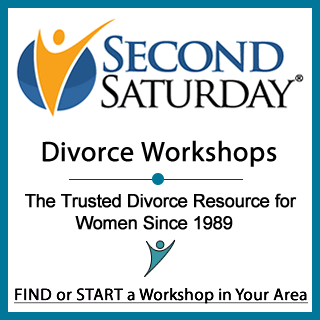 Take a look at our divorce article archive and/or sign up for a local Second Saturday Workshop near you. You’ll learn tons at this workshop and meet other women like you who are preparing for divorce.